Joey Johnson is Chief Information Security Officer at Premise Health, provider of large employer sponsor health and wellness centers for employees. Joey is responsible for leading all organizational efforts related to security operations and engineering, information technology and security compliance, identity access management, policy development, security audit, and vendor risk management to meet challenging security and compliance demands. In his six years with Premise Health, Joey has been instrumental in implementing a proactive security and risk management environment focused organizational risk awareness that is transformative in the healthcare industry. He successfully launched a cutting-edge vendor and business associate maturity development program that dynamically empowered business partners of various scales and complexity to meet challenging security and compliance demands. Additionally, he has worked to develop a team driven by passion in security, with a focus on empowering and fostering women in the security field. In 2016 Joey was presented CISO of the Year award by the Nashville Technology Council. Tim joined Aflac in April, 2014. Tim is responsible for the Aflac Global Security Program which includes Technology Risk Management, Physical and Logical Information Asset Protection, Information Security Program, Threat and Vulnerability Management, Cyber Security Operations and Incident Response, Information Technology Compliance and Risk Management, Security Engineering, Business Resiliency and Disaster Recovery. Tim is the executive responsible for the protection and availability of the information assets for the world’s leading provider of supplemental and voluntary insurance. Tim leads various security and risk committees and structures to help business partners accelerate in a safe and sound manner, while protecting Aflac clients. Richard Rushing is the Chief Information Security Officer for Motorola Mobility LLC. Richard participates in corporate, community, private, and government security councils and working groups, setting standards, policies, and solutions for current and emerging security issues. As Chief Information Security Officer for Motorola Mobility, he has led the organization's security effort by developing an international team to tackle targeted attacks, cyber-crime, and emerging threats to mobile devices. He has organized, developed, and deployed practices, tools, and techniques to protect the enterprise's intellectual property worldwide. A much-in-demand international speaker on information security, Richard has spoken at many of the leading security conferences and seminars around the world. Hussein Syed is the Chief Information Security Officer at RWJBarnabas Health, New Jersey’s largest integrated health care delivery system, providing treatment and services to more than two million patients each year. At RWJBarnabas Health, Hussein is responsible for information security and the organization’s HIPAA compliance and security governance program. Hussein and his team are responsible for information security functions for the healthcare system. 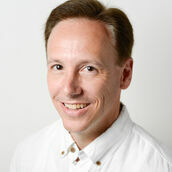 A seasoned Information Technology professional, he has more than 22 years of experience. Hussein is currently the board chair for the Association for Executives in Healthcare Information Security (AEHIS). Mr. Cass is the Global Partner of Cloud Security Services & Cloud CISO. He has global responsibility for all aspects of cloud security practices, processes, and policies across the IBM Cloud & Security Services Unit. Mr. Cass serves as a regulatory SME and an Executive Steering committee member for IBM’s International Banking Customers. David is an active contributor to the FS-ISAC on Cloud Compliance and Security for financial services firms, and works closely with U.S., and International Regulators.Previously Mr. Cass served as the SVP & Chief Information Security Officer for Elsevier. Where he lead an organization of experienced legal, risk and security professionals that provided data protection, privacy, security, and risk management guidance on a global basis for Elsevier. He also served as the HIPAA officer for Elsevier. David has over 4.5 years of experience running a regulated FTSE 100 enterprise in the cloud.David has extensive experience in IT security, risk assessment, risk management, business continuity and disaster recovery, developing security policies and procedures. He has played a key role in leading and building corporate risk & governance and information security organizations in the financial sector. As the Senior Director of Information Security Risk and Governance for Freddie Mac, David rebuilt the risk and governance function and developed a team to provide risk assessments, methodologies, tools, services, and training to improve the organization’s capabilities and maturity. Prior to that he was Vice President of Risk Management for JPMorgan Chase, and was responsible for providing an accurate assessment of the current risk management state, contributing to the future direction of risk management, continuity and disaster recovery capabilities for the organization. David has a MSE from the University of Pennsylvania, and a MBA from MIT. He is also a frequent speaker at high profile industry conferences, and serves on the Board of Directors for a public corporation. In addition, David is a member of the editorial board for The Journal of Law & Cyber Warfare. With over 20 years of experience, Juan Gomez-Sanchez has focused his entire professional life to Information Security. 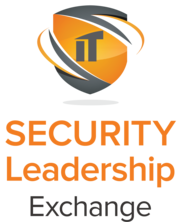 As a security practitioner, Juan held leadership positions building and implementing enterprise security programs at Delta Airlines, CheckFree Corporation (now Fiserv) and Florida’s Turnpike Enterprise (PCI Level 1 Merchant). As a consultant, Juan worked for Cybertrust (now Verizon Business Security Solutions), Optima Consulting, and Worldwide Technology, providing trusted advisory services and managing the delivery of security consulting services to a wide range of clients by working with executives to address the demands of security on a global and enterprise scale. He has supported a range of organizations in the development and planning of security programs to meet requirements for establishing, implementing, monitoring, and maintaining a security posture. Juan is currently the Chief Security Officer at Lennar Corporation. Lennar (NYSE:LEN) is ranked as one of the fastest growing ($9.4B) Fortune 500 companies that has built the reputation as one of America's smartest and most innovative real state, financial services, property development, and capital management companies. As the Chief Security Officer, responsibilities encompass all physical and information security initiatives in support of 7 lines of business, close to 9,000 associates and 1,000 locations operating in 17 US states and 44 markets. Lennar’s first Chief Security Officer reports to the Chief Financial Officer and is accountable to the Board of Directors. Responsible for creating the Enterprise Security Office from the ground-up and implementing a world-class security program that encompasses: Security Governance, Security Risk and Compliance Management, Security Architecture and developing a portfolio of shared enterprise services that includes: Physical Security, Security Awareness, Incident Response, Identity and Access Management, Application Security, Business Continuity, Disaster Recovery, Security Monitoring and Litigation Support. Juan is also very active in the security industry; he contributed as subject matter expert and exam writer for the CISSP certification and ISSAP concentration. He is also a member of the board of advisors for C|CISO certification by the EC-Council. Michael Miora currently serves as Sr. Vice President and CISO of Korn Ferry, a global public company with over 150 offices in 100 countries. At Korn Ferry, he has led in the acquisition and implementation of new and modern technologies to harden the environment, detect possible intrusions and remediate possible intrusions quickly and effectively. Over the past 30 years, Miora has designed secure, survivable and highly robust systems for Industry and Government, including our security agencies many of our largest corporations. Certified as one of the original CISSP-ISSMP professionals, Miora also gained the prestigious designation as a Fellow of the Business Continuity Institute (FBCI), a limited and exclusive honor. Michael was the founder of InfoSec Labs, a specialty boutique security consulting firm at the forefront of security leadership and has also served as the director of the security consulting organization for the National Computer Security Association (NCSA). He is also a contributor to the Computer Security Handbook, by Wiley & Sons and serves as Adjunct Professor at Norwich University. Larry is a seasoned cybersecurity executive. He has over 20 years experience in building and running cybersecurity programs in multiple industries to include DoD, Federal Government, Financial Services, Healthcare, and Critical Infrastructure as Chief Security Officer and Chief Information Security Officer. Larry is also the co-founder and vice president of the International Consortium of Minority Cybersecurity Professionals (ICMCP), a not-for-profit that is attempting to increase the number of minority and female cybersecurity professionals through many different avenues to include scholarship, internship, and training opportunities. Larry is also an advisor to a number of companies across the cybersecurity industry. He has helped CEOs and boards of private cybersecurity companies achieve their goals in sales and marketing. 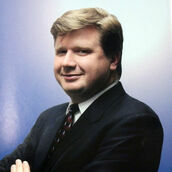 In recognition for his achievements Larry has been nominated for the National Information Security Executive of the Year (2009, 2010). In the Air Force Mr. Whiteside was honored as the Company Grade Officer of the Year for his units in 1997 and 2000. He is also an active member in of various organizations, including Information System Security Association (ISSA), Cloud Security Alliance (CSA), Phi Beta Sigma Fraternity, and multiple industry based Security Committees committed to strengthening security in the public and private sectors. He has briefed some of the highest levels of DoD, given lectures at various conferences to include the Gartner Security Summit, RSA, SC World Congress, Gartner Identity and Access Management Summit, and has been featured in many articles relating to Information Security and Risk Management.